I love writing “fluff”. Idiotic, meaningless, drivel pointless, filler, soft new, padding, rag fodder. The silly stuff. When I was a little girl, I wanted to be a journalist. Not because I had a passion for news, but because I had a passion for writing and an imagination firmly footed in reality. I loved the stories passed down to me by word of mouth, and I was excited to tell them. I remember enjoying the assignments she gave very much. Interviewing a fellow classmate, interviewing a person on campus, writing on a word’s history. But I realized that “the rules” felt like a tiny cardboard box I’d somehow pushed my whole body into, my arms and legs poking out of holes I gouged out for air. When I took Creative Writing and Poetry with Dr. Jones, I felt differently about my assignments. She believed that the most important part of the writing process was simply to write. Our homework–due every class meeting–was a glut of free form writing that was graded with a glance, a smile and a nod. Our real assignments were peer reviewed. Dr. Jones reviewed everything last, but I always got the sense that her grading was with a poet’s eye–while there’s some things that are required to make a piece of writing successful, she recognized that each piece created its own criteria for what might make it successful. Somewhere in there, I changed my major from English to Speech Communication. Why? The Communication major actually asked more essay writing from me that was equal parts creative and research-based. A new curriculum was introduced at my school that required “active learning” experiences (read as: internships or classes with a public service focus). I opted to take an internship with a magazine that does only soft, happy, shiny content with a hyper-local focus. I even got to work on a couple feature articles! As an intern! Sure I was free labor in a house with nary a writer, but I realized that writing was my one marketable talent. After I graduated, I took a job with the same magazine. I knew the boss and it was in the city I wanted to be in. Why not? I was originally hired for filing–me? organization?–but soon after, he actually approached me and said, “Have you ever made a magazine before? Do you want to?” I was handed an entire publication to write and design! While the results weren’t what I’d call spectacular–I had to teach myself the software on the spot–it was fulfilling. I knew my home was in soft content publishing. Seven years later, I’m still here. The other day, we were assigning writers for features in one of our publications, and someone threw out an idea for three “listicles” with tips about family living. “Any idiot could do this,” I smirked, then promptly volunteered to be that idiot. I love soft content. There’s research to be done, but the writing is finessed to make people feel about the information. I choose to write happy soft content, the kind of stuff that makes people go “aha!” while smiling. I like to elicit a laugh or two in there. Sometimes, I tell stories. But I get to choose a side and represent it in an approachable, friendly way, often utilizing colloquial language that makes the topic feel instantly familiar–and fun. (Let’s not discount the FUN factor. When was the last time you read a hard news story in the newspaper that was a FUN read?) Sometimes, soft news pieces can be heartbreaking, but always in a way that’s not disconnected and cold the way hard news can be. 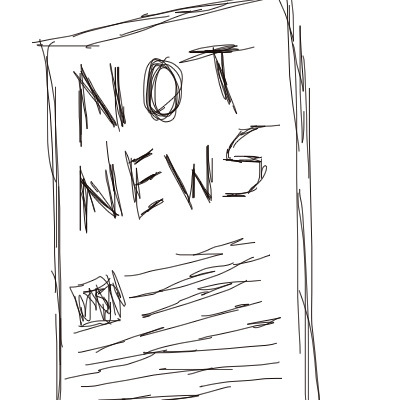 Some soft news is sensationalist garbage, bordering on manipulation. I veer away from that. I figure if you have to emotionally strong arm someone into seeing your point, your point is probably not a very strong one. I love reading your soft content! Well, ok, technically I love reading ALL your content, but that definitely covers the “soft” posts as well. And I disagree that any idiot can do it. I think it requires a fluidity and touch of humor that is difficult to master. But you do it beautifully Dootsie!